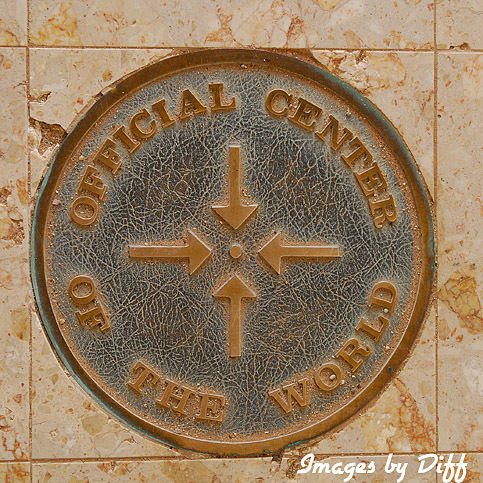 click photo to enlarge The Official Center of the World is located in Felicity California. 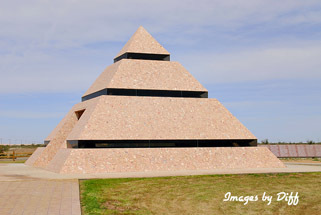 It is a dot on the plaque inside the pyramid. If you think about it the center of the world could be anywhere on the earth. But it was set by law as here in Felicity because it is based on a popular children's book, COE The Good Dragon at the Center of the World. Tours are offered in the Winter from Thanksgiving to Easter. 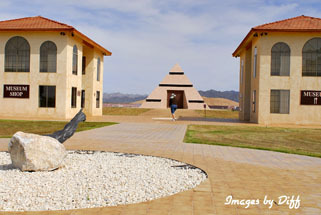 The tour includes a 7 minute video explaining Felicity and the History in Granite Museum. 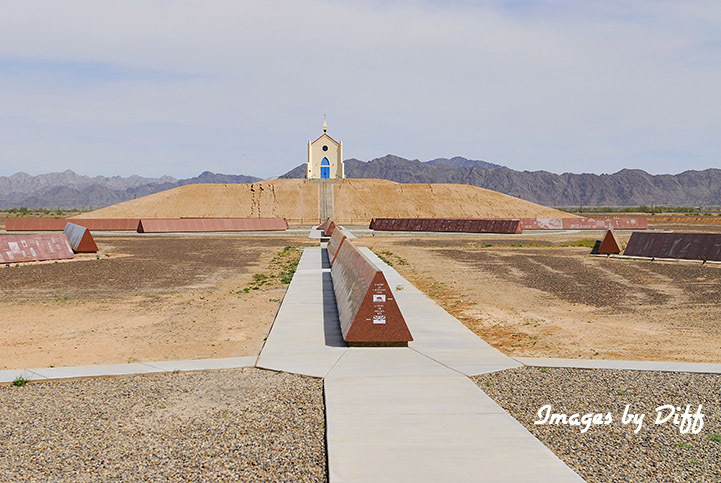 You will also have a serious ceremony welcoming you to the Center of the World where you stand on the center and the time is officially noted. 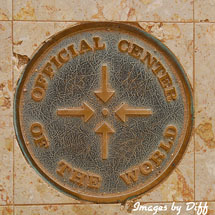 You then receive a certificate showing the date and time you stepped on the official center of the world. The idea for this entire complex came from Jacques-Andre Istel who is also noted as the father of sport parachuting. click photo to enlarge The arm used for the sundial is a bronze replica of Michelangelo's Arm of God painted on the Sistine Chapel. Also on the grounds is section number 12 of stairs from the Eiffel Tower, The Church on the Hill and the Museum of History in Granite. 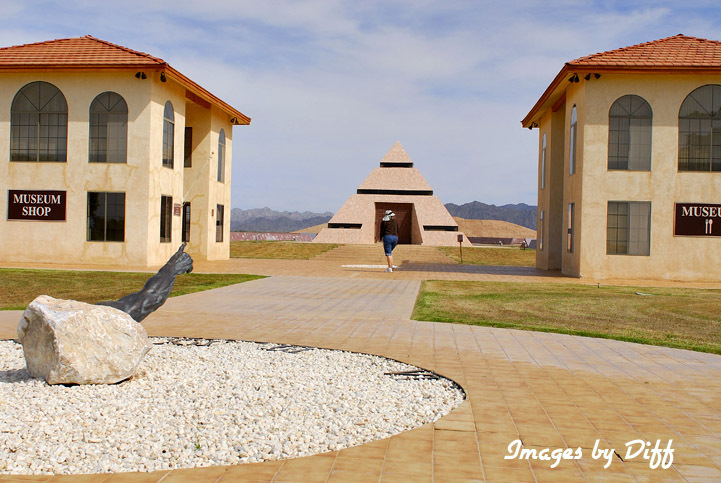 This Museum of History in Granite is the most ambitious undertaking of Jacques-Andre Istel which consists of 416 granite panels. 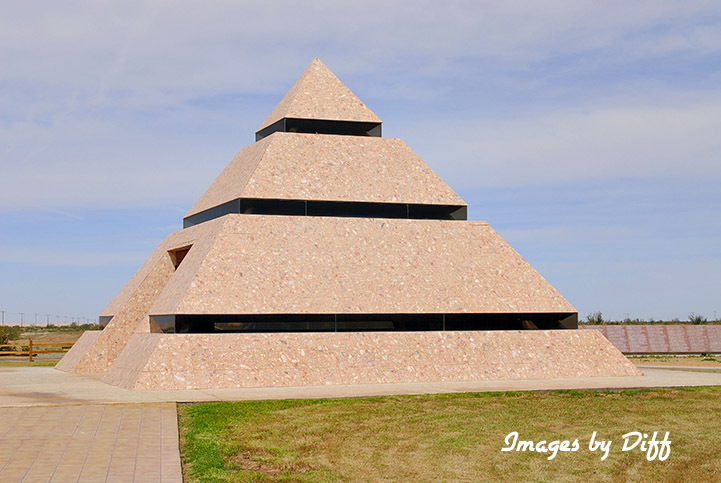 Inside this pyramid is the plaque marking the "Official Center of the World". 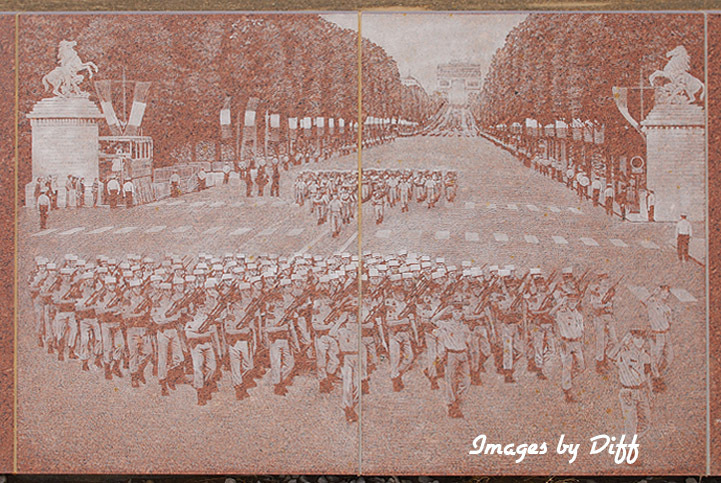 click photo to enlarge The granite panels are build to last 4,000 years. 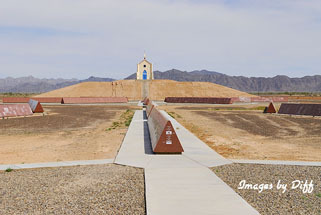 Each wall is 100 feet long and faced with 60 panels of Missouri Red Granite each one weighing 477 lbs. The granite walls are built on three foot deep trenches with 6,000 lbs of knitted steel and approximately 2000 cubic feet on concrete. Everything here in Felicity is taken very seriously.